Stephen Wursta, Sr., 90, of Allentown, passed away June 17, 2018. He was the loving husband of 66 years to Eleanor (Zumar) Wursta. Born in Freeland, he was the son of the late John and Anna (Balo) Ursta. Stephen served in the U.S. Navy from 1945-1951 and during the Korean War. He retired in 1988, as a Sergeant from the City of Allentown Police Dept. after 28 years of service. 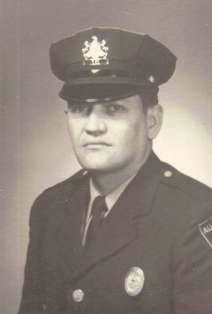 He began as a Patrolman in 1960, was transferred to traffic in 1965 and was in charge of accident investigation from 1975- 1987. Stephen was an active member of St. Michael Byzantine Catholic Church and a member of the Holy Name Society. Survivors: wife- Eleanor Wursta; children- Mary Elizabeth Zemyan and husband Nicholas, Stephen Wursta Jr. and wife Anna Marie (Gaugler), Matthew John Wursta and wife Mary (Ferchie), Theodore P. Wursta and wife Mylene (Galera); 9 grandchildren; 2 great grandchildren; sister- Anna Ravina. Office of Christian Burial to be celebrated Saturday, June 23rd at 10AM in St. Michael Byzantine Catholic Church 156 Green St. Allentown, PA 18102. Burial to follow in the parish cemetery. Arrangements entrusted to Kohut Funeral Home, Inc.
Kathryn (Jurynec) Wus, 97, passed away September 1, 2016. In the early morning hours as it started to rain heaven gained the most beautiful, caring and selfless angel. Tears of joy rained down on us as she joined her soul mate in heaven. She was the loving wife of the late John Wus. Born in the village of Khyshevych, Ukraine, she was the daughter of the late Dmytro and Maria (Sawicky) Jurynec. She emigrated to Allentown, PA in 1949 where she resided until she was 89 at which time she relocated to Philadelphia to live with her daughter. She was a member of St. Josaphat Ukrainian Catholic Church. During World War II she was taken from her family to Germany to serve as an Ostarbeiter (Eastern Worker). With strength, determination and prayer she survived and made her way to the USA on “the boat” with her husband and 10 month old baby. She didn’t know the language or customs, but established a loving home for her growing family. From the moment you entered her home, she would fill you up with Ukrainian foods, no matter how full you were, like any good grandmother, she always wanted you to eat more. She taught her children and grandchildren to make pierogi and halupki from scratch and she would cut up kielbasa and bread to snack on while everything cooked. Although her favorite moments were being surrounded by her family, she longed to be reunited with her husband and missed him dearly. Daughter- Marie and husband Walter Plachta of Philadelphia; Sons- George and wife Virginia of Greenville, NC, John and wife Maureen of Macungie; Grandchildren- Cynthia (Paul), Dawn, Christopher (Ivanka), Jennifer (William), Emmalee (Jason) and Katrina; Great Grandchildren- Brooke, Noah, Holly, Sydney, Julia, Bohdan and Samuel; Nephew- Ivan Jurynec. She was predeceased by her grandson- Todd and brother- Ivan. A viewing will be held Friday 9-10AM with a Funeral Service at 10AM all in St. Josaphat Ukrainian Catholic Church 1861 Kenmore Ave Bethlehem. Burial will follow at St. John the Baptist Ukrainian Catholic Cemetery, Northampton. Contributions can be made in Kathryn’s memory to St. Josaphat Ukrainian Catholic Church in Bethlehem or to Annunciation of the Blessed Virgin Mary Ukrainian Catholic Church in Elkins Park, PA c/o Kohut Funeral Home, Inc.
David S. White, 46, of Whitehall, passed away January 29, 2016. He was the loving husband of 22 years to Rita (Boules) White. Born in Hackensack, NJ he was the son of the late June and Robert White Sr. David worked for Monroe County Correctional Facility as a Corrections Officer. Survivors: Wife; Daughters- Annie Lazorchak and husband Scott of Phillipsburg, NJ, Sylvie Wulf and husband Matthew of Whitehall, Melanie White of Whitehall; Grandchildren- Amanda, Colin, Dylan, Kyley, Auden, Baby Wulf. He was predeceased by his brother- Robert White Jr.
A viewing will be held on Tuesday 5:30-7:30PM with a Service at 7:30PM in Kohut Funeral Home, Inc. 950 N. Front St. Allentown, PA 18102. Contributions can be made in David’s memory to an Animal Shelter of one’s choice. Wanda Wojna, 78, of Allentown, left this world without regrets on Friday, March 13, 2015. Survivors: Wanda will be dearly missed by her daughter and travel companion, Eva of Allentown. Services: Private care of Kohut Funeral Home, Inc.
Rolland W. Whitehead, 89, of Allentown, passed away June 30, 2014 in Fellowship Terrace. He was the loving husband to Dorothy (Matsco) Whitehead. Born in Allentown, he was the son of the late Pauline (Brown) and Raymond Whitehead. Rolland served in the U.S. Army during WWII, including the invasion on Utah Beach on D-Day. He received a Bronze Arrowhead, a Purple Heart and 4 Bronze Service Stars. He retired from Exide Battery after over 30 years of service. Rolland was a 32 Degree Mason of Greenleaf Lodge 561 of Lehigh Valley and Rajar Temple, Reading. He was also a member of the Fairview Fire Co., the Fearless Fire Co., St. Nick’s Club, Coplay Sengerbund, American Legion Post 576, Allentown VFW Post 2124 and Slatington Moose Lodge 1375. He was predeceased by 4 brothers- Raymond, Robert, Eugene and Ernest. A viewing will be held on Thursday 9-10AM with a service at 10AM in Kohut Funeral Home, Inc 950 N. Front St. Allentown 18102. Burial to follow in Cedar Hill Memorial Park. 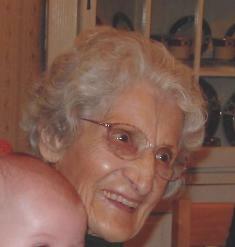 Olga (Kloss) Wytovich, 99, of Allentown, passed away June 30, 2014 in Lehigh Commons. She was loving wife of the late Stanley Wytovich. She worked as a sewing machine operator for many years and was a member of the ILGWU Local #111. She was predeceased by her Son- Stanley and Daughter- Dolores Wieder. Services will be held privately at the convenience of the family care of Kohut Funeral Home, Inc.
Richard P. Wieder, Sr. of Allentown passed away Thursday, October 25, 2012 in the Phoebe Nursing Home, Allentown. He was born in Allentown, a son of the late Margaret L. (Fix) and Paul J.A. Wieder. His wife, Dolores L. (Wytovich) Wieder passed away in November 2001. Richard was a lifetime member of St. Pauls R.C. Church in Allentown and served his country in the United States Army during the Korean Conflict. He retired in 1992 after many years as a plumber for the Union Local 690 in Philadelphia. Survivors: Daughter, Lynne A. Bedics and her husband, William of Emmaus; sons, Richard P. Wieder, Jr. of Macungie, James W. Wieder of Allentown, Thomas S. Wieder and his wife, Linda of Palmyra, Paul Wieder and his wife, Kathy of Whitehall; eight grandchildren; and one great-grandson. Richard was preceded in death by his brother, John Wieder. Services: Private services will be held at the convenience of the family. 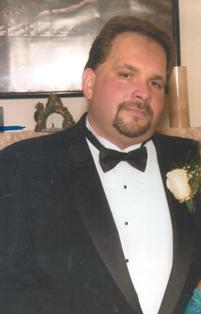 The Kohut Funeral Home, Inc., Allentown is handling the arrangements. John Walson, Jr., 63, of Allentown, president and CEO of Service Electric Cable TV & Communications, passed away in his home Sunday afternoon, August 19, 2012, after a short battle with cancer. He was the loving husband of 40 years to Gloria (Salash) Walson and the proud father of John M. Walson and Michelle Walson Kuykendall. He was a member of St. Mary’s Ukrainian Orthodox Church in Allentown and St. Paul Antiochian Orthodox Church in Emmaus. 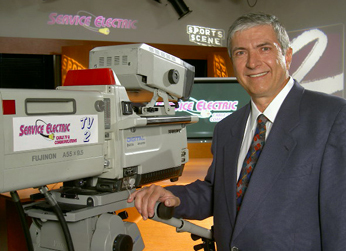 Born in Shenandoah, Pennsylvania, he was the son of Margaret (Kowatch) Walson and the late John Walson, Sr., who founded Service Electric as the nation’s first community antenna television system in 1948. Based in Bethlehem, Service Electric is the largest family-owned cable company in the country. Walson received many honors over the years, including an Honorary Doctorate from Muhlenberg College, a Mid-Atlantic Emmy as the Executive Producer of Lehigh Valley IronPigs Baseball, and the Truman Frey Lifetime Achievement Award for Service Electric's contribution to the Lehigh Valley sports community. He was an owner of the former Lehigh Valley ValleyDawgs USBL basketball team and a founding partner of Lehigh Valley IronPigs Baseball, Lehigh Valley Phantoms Hockey, MusikFest, and The ArtsQuest Center at Steel Stacks. Walson was known in the community as an avid golfer and philanthropist who supported a variety of nonprofit organizations including Big Brothers Big Sisters of the Lehigh Valley, Lehigh Valley Hospital, St Luke’s Hospital, Sacred Heart Hospital, The Good Shepherd Home, and IronPigs Charities. He is survived by his wife, Gloria Walson; son, John M. Walson and wife Michal of Chalfont; daughter, Michelle Walson Kuykendall and husband Jeffrey of Manhattan; mother, Margaret Walson and one brother of Allentown; sister, Rosalie Walter and husband Hoyt of Allentown; cousin, Joseph Macus and wife Irene of Allentown; mother-in-law, Fannie Salash of Bethlehem; brother-in-law Stephen Salash and wife Joanne of Bethlehem; sister-in-law, Jean Diamond and husband Emmanuel of Bethlehem; niece, Natalie Walter Young and husband Scott of Breinigsville; nephew, Mark Walter and wife Rebecca of Allentown; niece, Elena Walter and fiancé Justin Romano of Conshohocken; nephews, Anthony and Nicholas Diamond of Bethlehem. John is pre-deceased in death by his father, John Walson, Sr. and brother, Paul Walson. A viewing will be held on Wednesday, August 22, 4-8PM with Parastas at 7:30PM, at Kohut Funeral Home, 950 N. Front St. Allentown, PA 18102. A funeral service will be held on Thursday, August 23, 11AM at St. Mary’s Ukrainian Orthodox Church, 1031 Fullerton Ave., Allentown, PA 18102; burial to follow at Resurrection Cemetery. In lieu of flowers, donations can be made to St. Mary’s Ukrainian Orthodox Church of Allentown, St. Paul Antiochian Orthodox Church of Emmaus, Bishop’s Annual Appeal Diocese of Allentown, Big Brothers Big Sisters of the Lehigh Valley, IronPigs Charities, and Lehigh Valley Health Network Hospice. Of Downing Funeral Home, Inc.